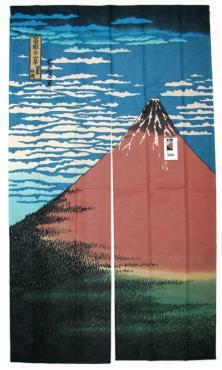 This Japanese door/partition curtain is based on one of the best-known images from Japan: the majestic Mt. Fuji lit up in bright red by the setting sun. 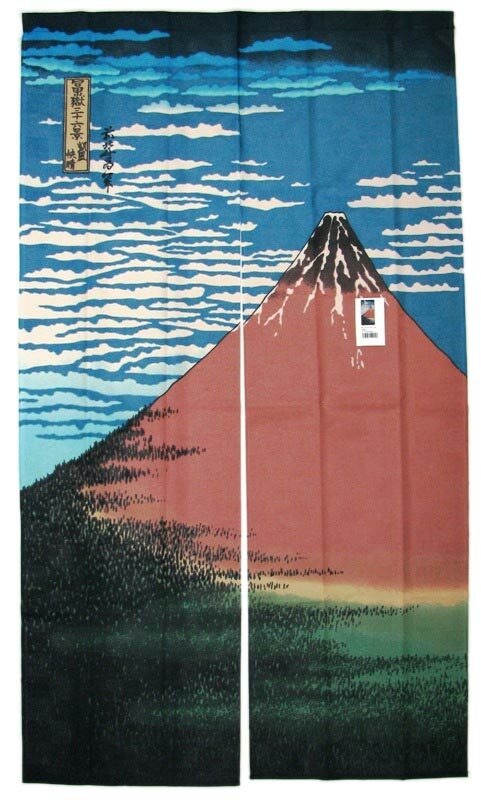 This is an ukiyoe by Hokusai, Japan’s most famous woodblock artist. Size: 150cm long x 85cm wide/59in x 33.5in.